This dress tunic is fabricated from a khaki cotton with button down epaulette straps held in place via black plastic buttons displaying the Royal Australian Air Force crowned eagle insignia. 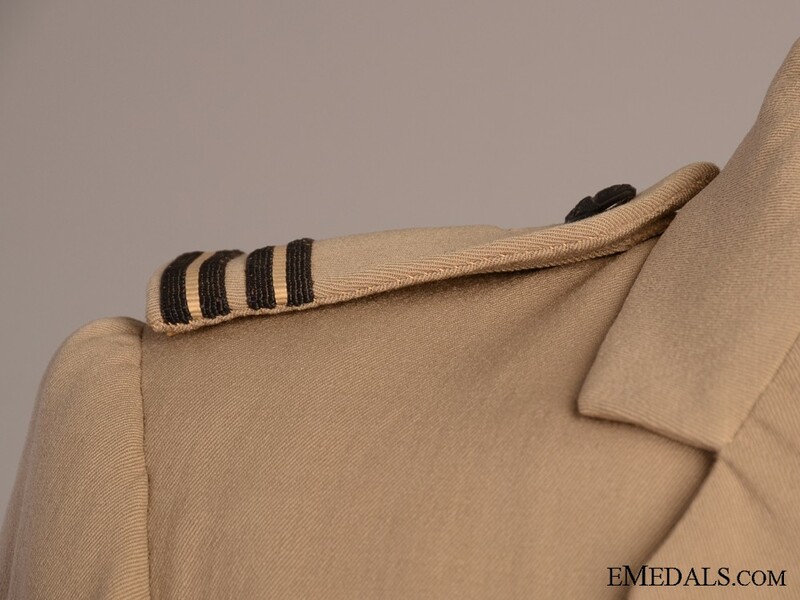 Each of the epaulette straps have Flight Lieutenant stripes banded to them. 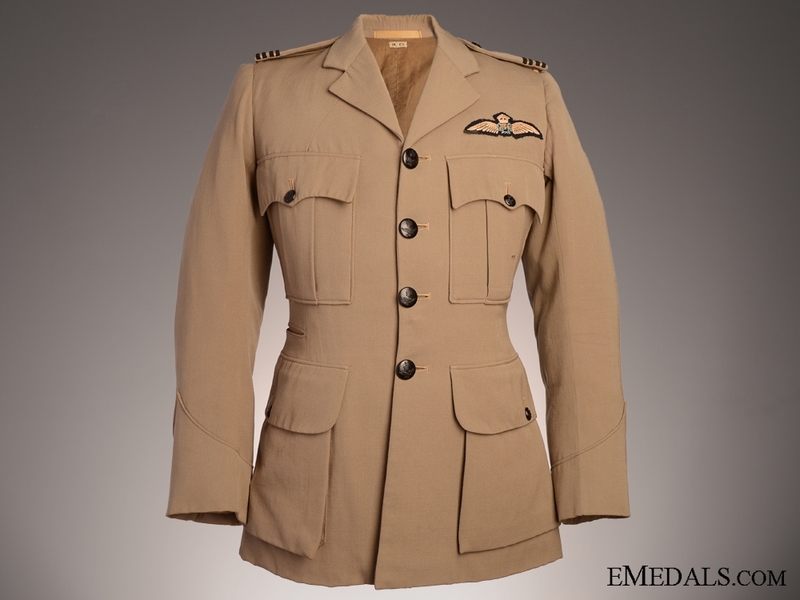 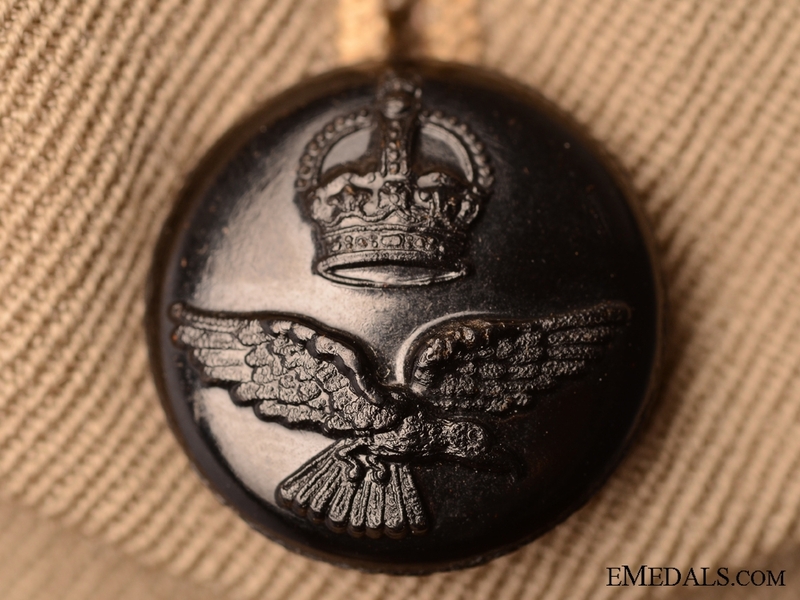 All buttons on the tunic display the Royal Australian Air Force insignia, are maker marked and coded on the reverse. 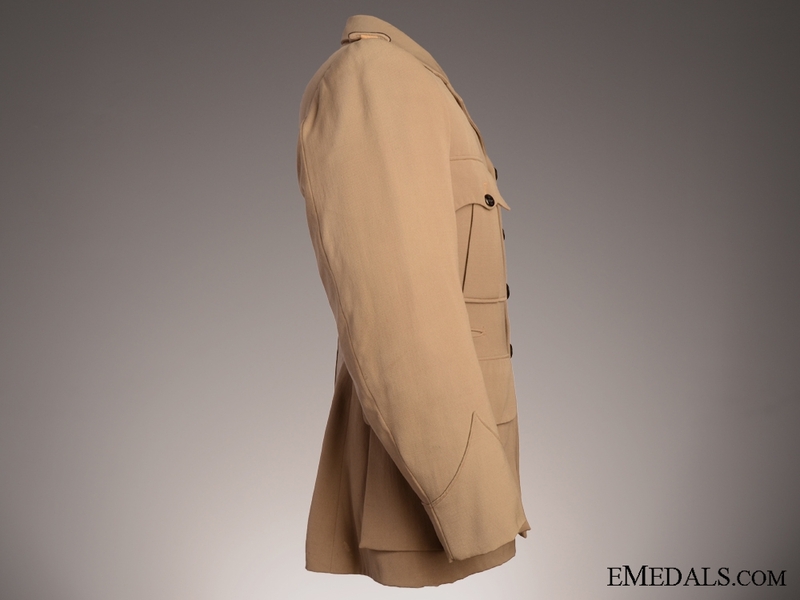 The front has four large pockets, one on each breast which have decorative straps giving them a pleated-look, the other two at the waist are without pleats, all four with foldover button down flaps with reinforced buttonholes and small black plastic buttons. 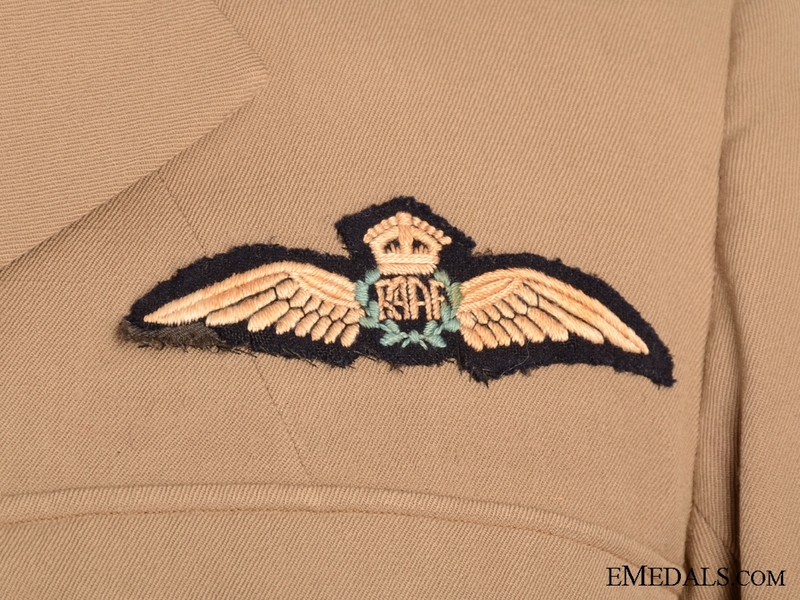 Above the left breast pocket is an embroidered GRVI Royal Australian Air Force wings badge. 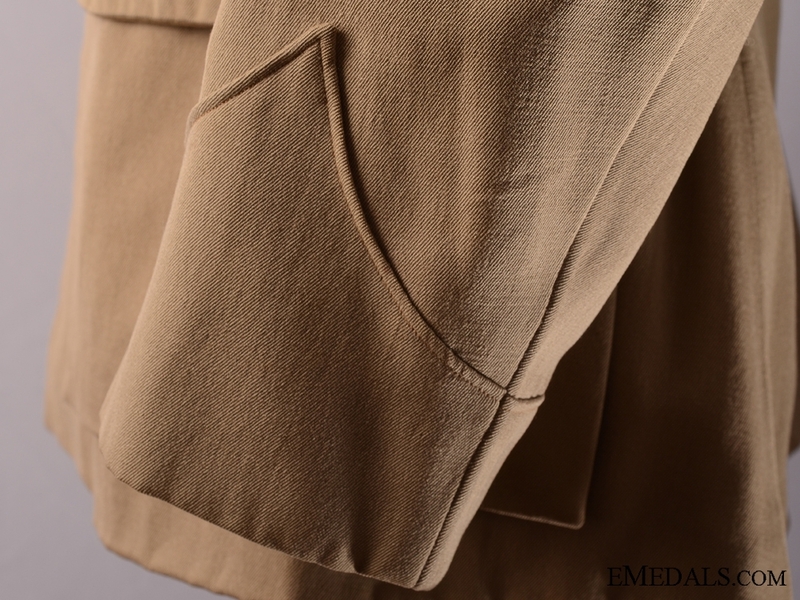 There is also a flap-less pocket midway between the upper and lower pockets on the right side. 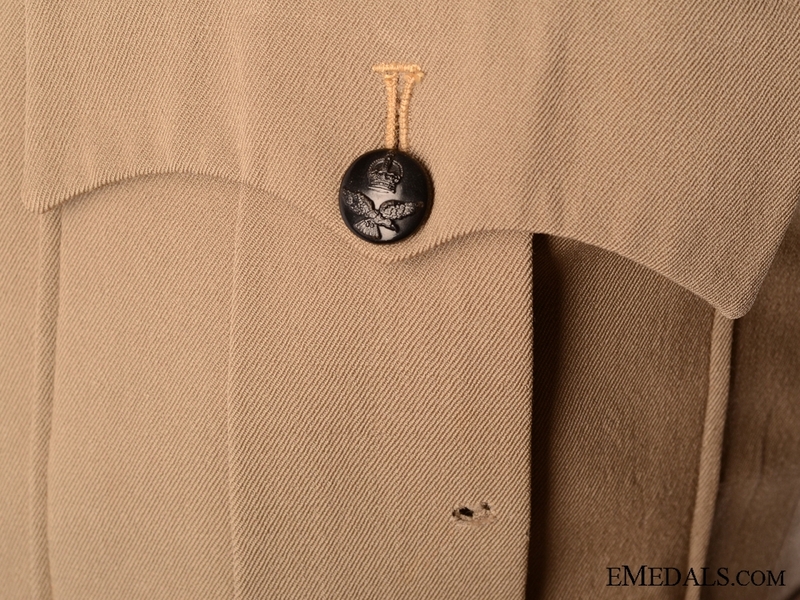 The front is completed by four large black plastic buttons on the right side, facing four reinforced buttonholes on the left, while the rear of the tunic is single-vented. 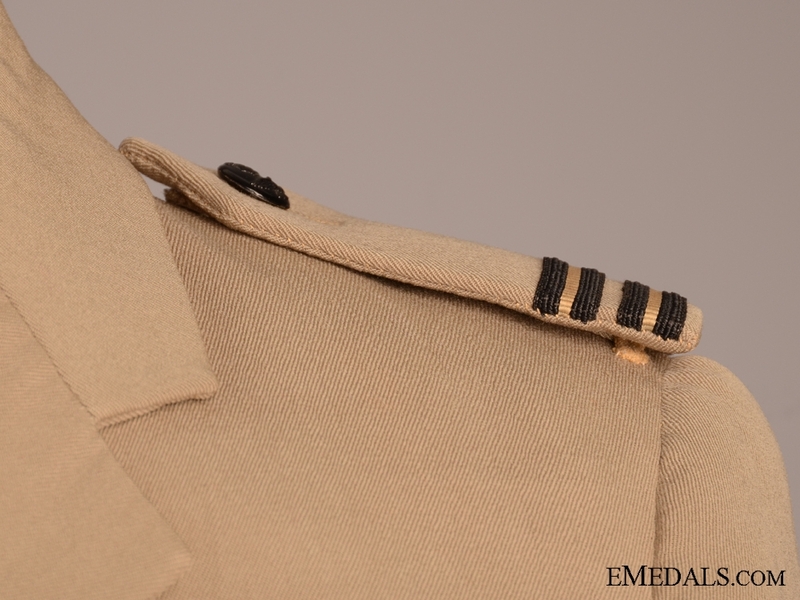 Each of the sleeve cuffs are purposely designed without buttons and have a raised chevron design. 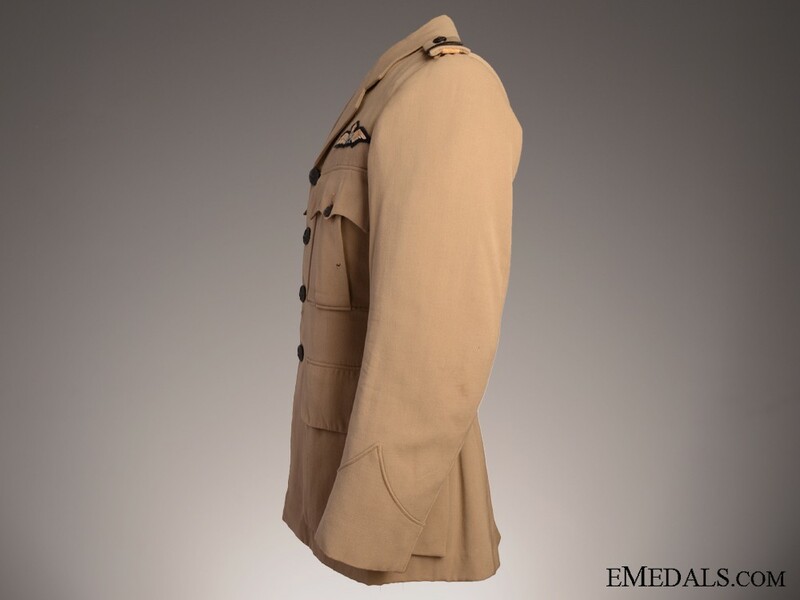 The inside of the tunic comes with a olive green cotton lining, while the sleeves are lined in white cotton with an alternating multiple light blue and dark brown striped design. 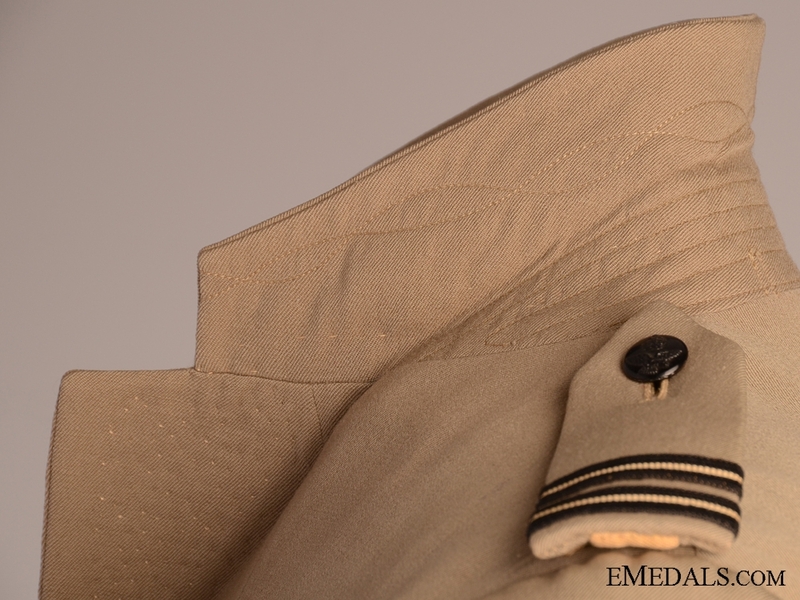 There is an 88 mm long strap sewn to the collar, in order to give the wearer the option to hang the tunic from a hook, plus an embroidered tag sewn below on the tunic's lining inscribed "M. TX". 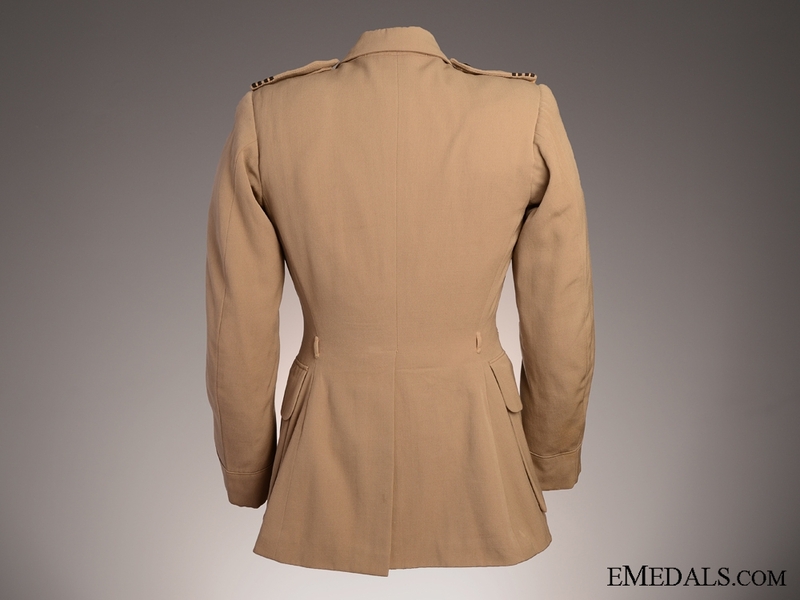 The tunic measures 420 mm across the shoulders x 735 mm in length, exhibiting light soiling and wear, scattered holes throughout from mothing, with the largest one appearing on the left breast pocket, better than very fine.